Thanks to an outstanding plethoric performance, Luka Doncic won “Player of the Week” honors in the Spanish Liga Endesa. 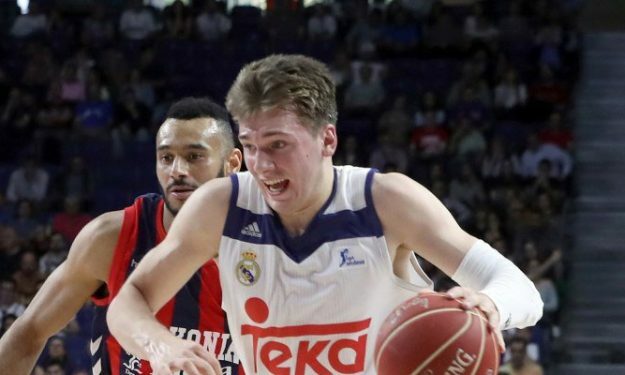 For the second time in his career, Luka Doncic is named “Player of the Week” in Spain after an exceptional all-around output he put on the floor, leading Real Madrid to victory over Baskonia. The Slovenian guard finished the match with 15 points (5/7 2-pointers, 1/5 from downtown, 2/3 from the line), a career-high 13 rebounds, 4 assists and 4 steals while he forced his opponents to foul him seven times. These numbers resulted in 32 in the PIR evaluation system, more than any other this week in the Spanish League. It’s the second-best production of Doncic after the 34 he had gathered in a Real Madrid win vs Fuenlabrada back on early December. It was that match that earned him the first weekly MVP honors of his career, at only 17 years of age back then. With Doncic leading the charge and spending more time (30 mins) on the floor than any other of his teammates, the “Blancos” became once more the standings leaders in Liga Endesa while sealing a spot in the playoffs.